Chicken Run is the first feature from Aardman Animation, the animation studio responsible for the award-winning Wallace & Gromit films. 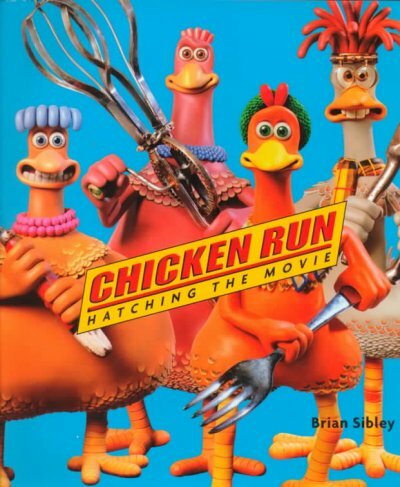 Chicken Run: Hatching the Movie tells the complete story of the making of this epic adventure. Chicken Run: Hatching the Movie takes you inside England's Aardman animation studio, where animators make movies (at a rate of four seconds per day) out of bits of clay, metal, paper, and wood. Based on extensive interviews with acclaimed directors Nick Park and Peter Lord and their gifted team of stop-action animation artists, and reproducing a wealth of visual material, the book is the next best thing to spending every day for three years building and playing with model chickens! Brian Sibley is an English writer. He is author of over 100 hours of radio drama and has written and presented hundreds of radio documentaries, features and weekly programmes. He is widely known as the author of many movie making of books, including Chicken Run: Hatching the Movie.